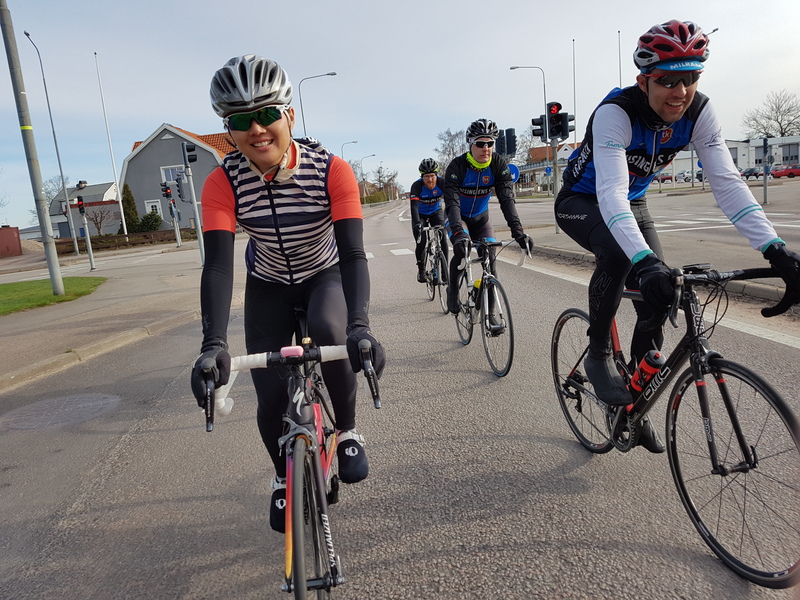 This weekend Sofi and I were in Laholm for a cycling training camp with our club, Hisingens CK. There were rides planned for Friday, Saturday, and Sunday. I rode all three days, but unfortunately Sofi couldn’t get time off work (being a teacher and all), so she came down Friday evening. 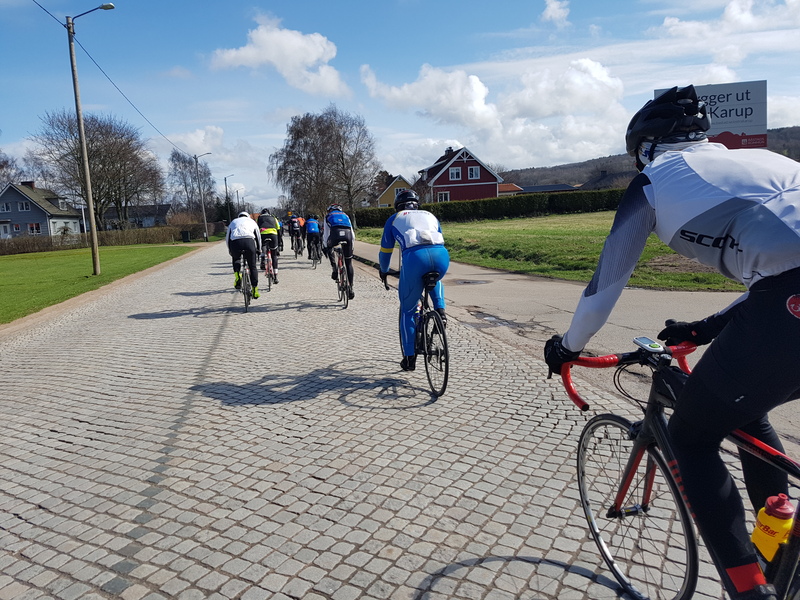 Laholm is situated very close to a ridge line in Sweden called Hallandsåsen, which makes it a bit of a cycling Mecca in Sweden. Funnily enough, Hallandsåsen is mostly in the county of Skåne and not Halland. I got a lift down with Filip, and we met a few of our other teammates once we arrived. I also met Sofi’s dad, Bosse, as I had left my road bike at Sofi’s parents when we were there two weeks ago. After dinner, Filip, Ivar, and I went to the supermarket to buy some (mostly healthy) snacks for the weekend. 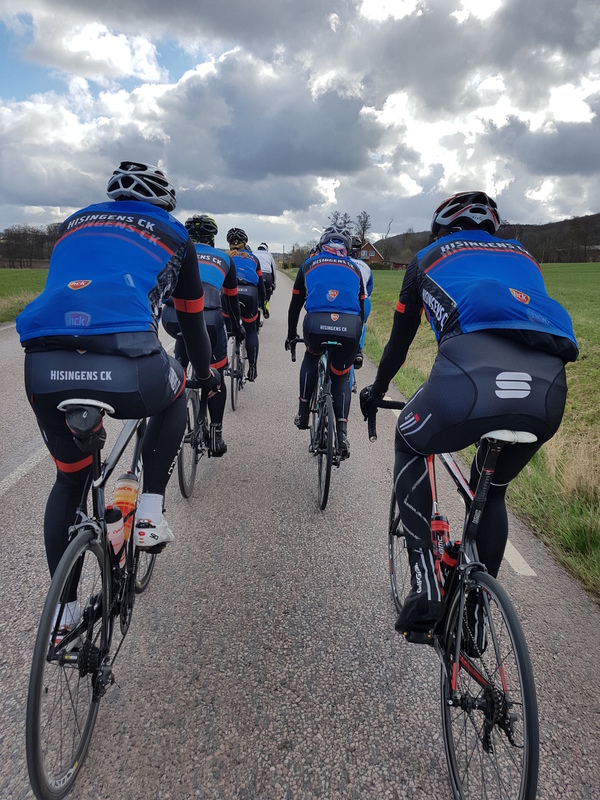 On Friday, the Race group were lucky enough to have Mattias Reck, trainer for pro team Giant-Alpecin, come and hold a training session with us. The session was very high tempo, and I actually suffered quite a lot. We went hard from the beginning, and I couldn’t get my heart rate to go down after it went so high early on. So I struggled until just before lunch and took a shorter route with a couple others to the lunch spot, then headed back to the hostel instead of carrying on afterwards. I thought it was best to save something for the other days, rather than run (cycle?) myself into the ground. We even did some Paris-Roubaix cobble recon! 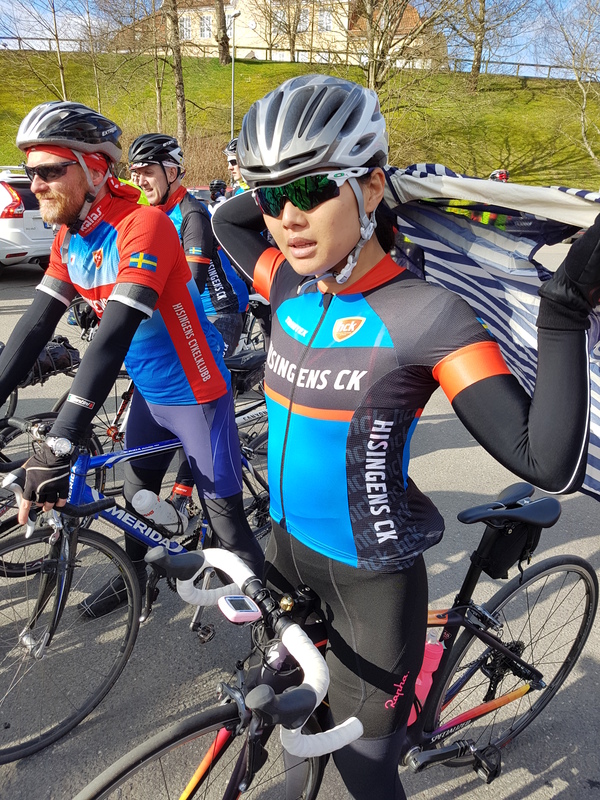 On Saturday it was hill climbing on Hallandsåsen on the cards. I took the first few climbs more steady, firstly to see how I had recovered after Friday, and secondly because I wanted to stay with the race group as we were going to do 8 climbs instead of the 5 or 6 the other groups were doing. I felt much better after just a couple of climbs, and decided to up my intensity a little before lunch. After lunch there were two climbs left, and I pushed myself hard up both of them, and outdid my expectations on the final climb of the day. All that was left was to bomb it down the other side and ride hard home. I did all my turns on the ride home, and despite feeling weak when we started the homeward journey, I felt strong near the end. Training and sport is funny like that! Premier for Sofi in club kit. 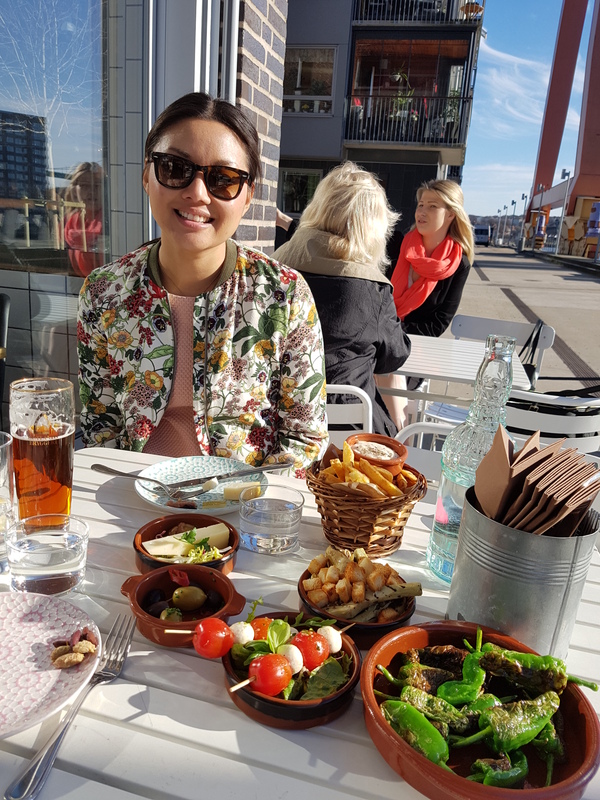 Enjoying lunch in the sun with the boys! 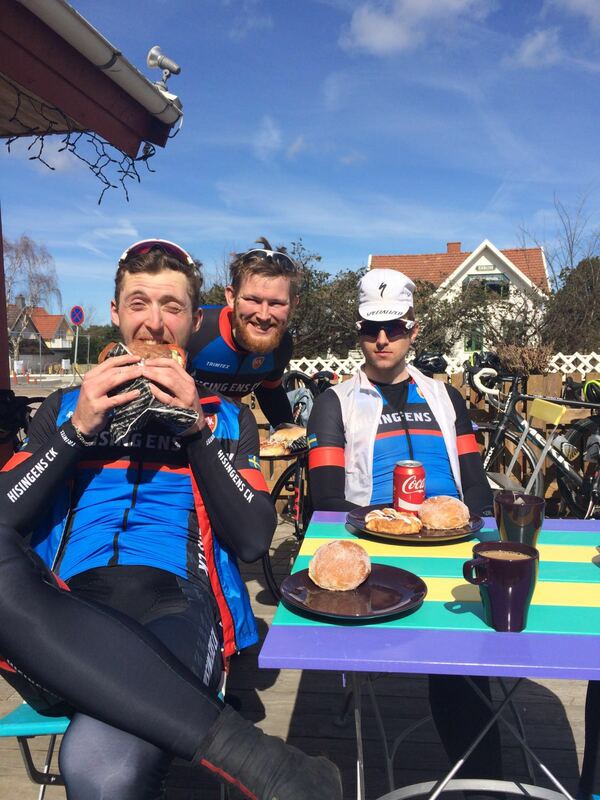 Saturday evening was very chilled – most people were suffering the effects of two hard days in the saddle! But we were planning our final ride. 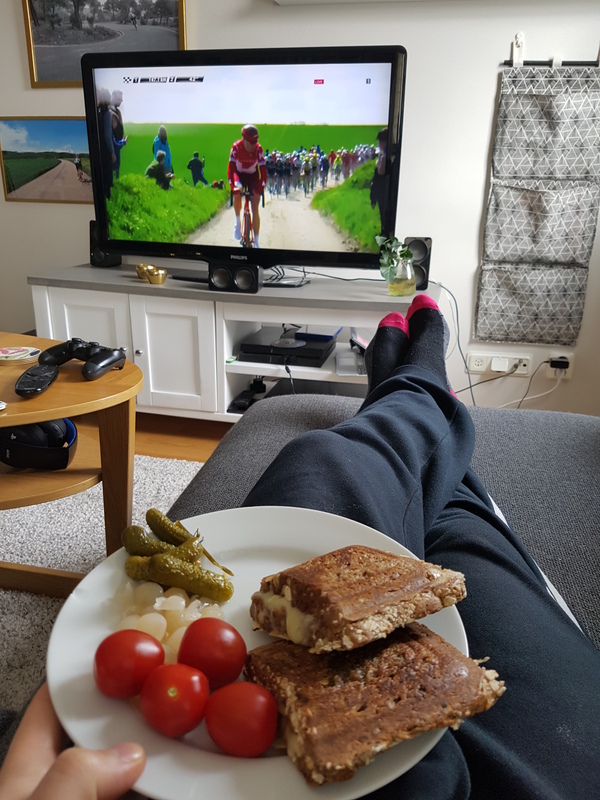 Most of us wanted to get back to Gothenburg to watch Paris-Roubaix on our sofas, so that was what we were planning around. I also wanted to ride with Sofi, so I told my fellow racers that, and they said they would like to do that as well. 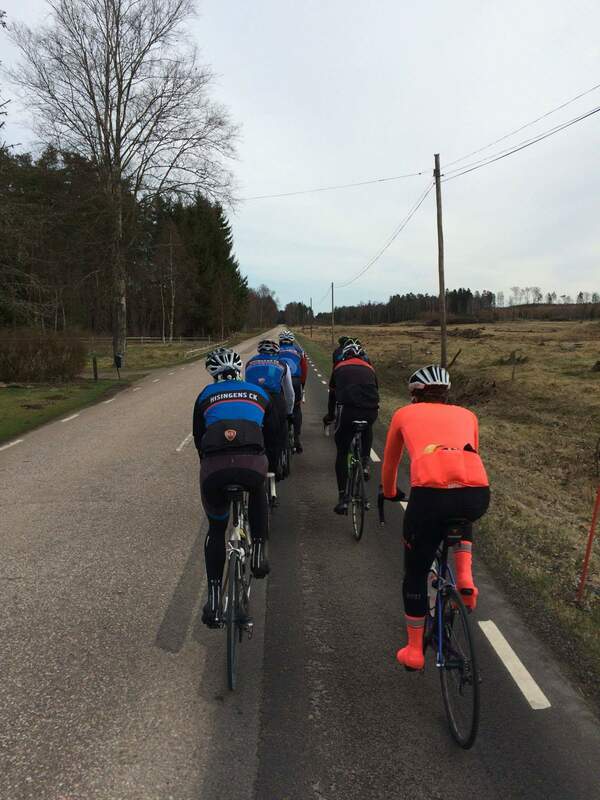 So Sunday morning we did a nice 55 km loop on some incredible roads (I outdid myself with my road selection, as always), and we were 9 people. 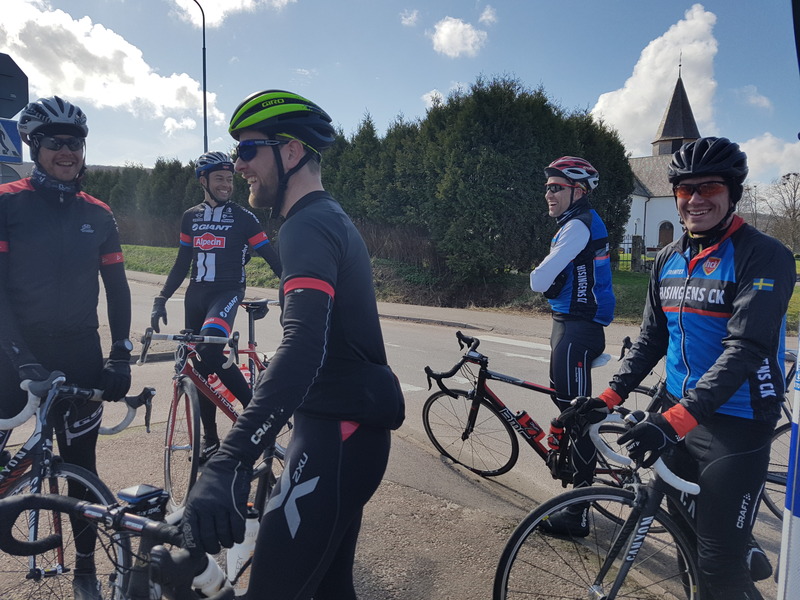 We kept the pace really steady, so that it was a proper recovery ride, and I think everyone felt better afterwards than they did when we were standing around waiting to go. Sofi and Ev enjoying the ride. Me trying to be as colourful as Sofi! 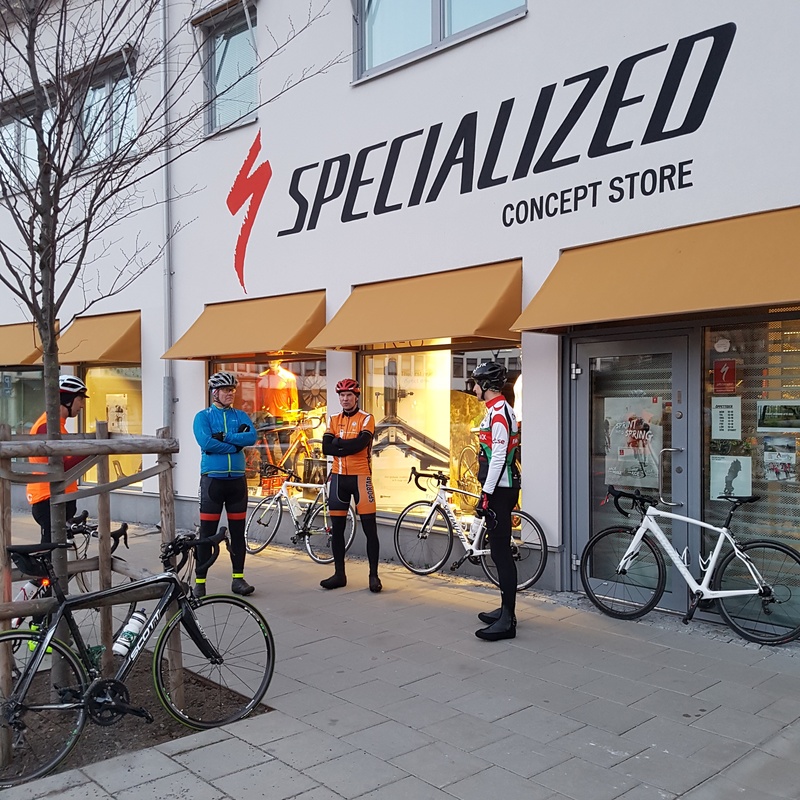 After resting yesterday, I went on the Pelotonen ride this morning (40 km at 6 a.m. from the Specialized Concept Store in town), expecting to be dropped at some point due to my legs still feeling tired. I think I did quite well though, I got dropped just before the halfway point, but only came in about 5 mins later to the café for a well-deserved breakfast!